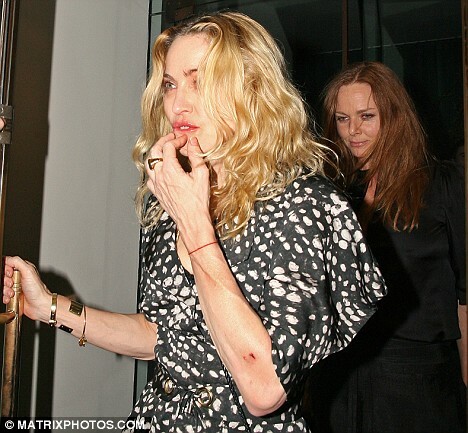 Madonna sought comfort from friend Stella McCartney last night after jetting back to the UK from Malawi. The singer was said to be 'devastated and shaking' at having to leave four-year-old Mercy in the African country after a judge rejected her adoption bid. The 50-year-old, who touched down in Luton airport on Sunday afternoon, went to London restaurant Cecconi's with the fashion designer. Dressed in a black and white print dress, the singer was ushered into the venue by minders who put a protective arm around her. 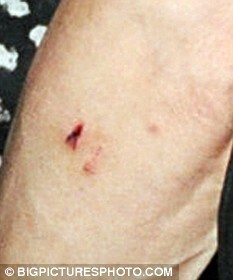 A cut was visible on her arm, but it was not clear how she sustained the injury. Despite the strain of recent days, the singer managed a smile as she made her way through the scrum of photographers. She put out a welcoming arm to greet Stella, who was dressed head to toe in black. 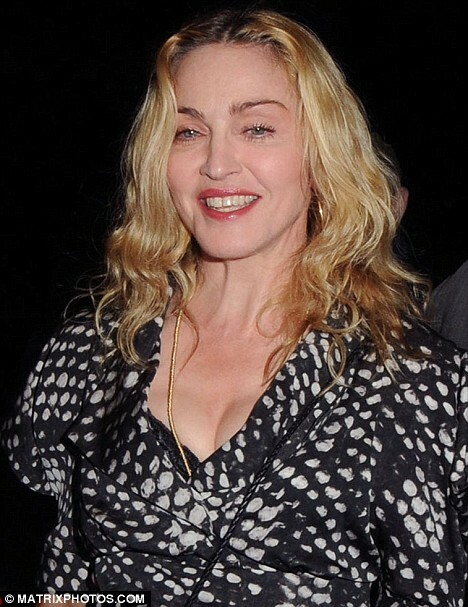 Madonna was met by ex-husband Guy Ritchie as she landed on Sunday. Ritchie leapt up the stairs to sweep their adopted son David into his arms for a hug, and whisk him and son Rocco, eight, off to his Wiltshire estate. He and Madonna did not appear to speak to each other, but Ritchie has publicly supported the adoption of Mercy. However, the pair were said to have argued over the issue while still married, and Ritchie's father John said yesterday that his son would be 'very relieved' by the court's decision. Judge Esme Chombo ruled last week that Madonna could not adopt Mercy as she had not met residency rules which require adoptive parents to live in Malawi for 18 to 24 months. The star's lawyer Alan Chinula described the judgment as 'incomprehensible', saying the same court had approved her adoption of David Banda in 2006. He said they were appealing the decision in Malawi's Supreme Court, and believed he had a good chance of winning. The singer and her eldest daughter Lourdes, 12, were said to have fought back tears as they left Malawi without the child. Officials have already returned Mercy to an orphanage, despite the appearance of a man claiming to be her biological father. Security guard James Kambewa, 24, said he was willing to take a DNA test to prove he was Mercy's father and wants to raise the child. If the court in Malawi accepts his paternity claim it is likely to be the final blow to Madonna's hopes of adopting the child. Mr Kambewa, who lives in a remote village 100 miles from Lilongwe, said he was told Mercy had died with her mother at the birth. 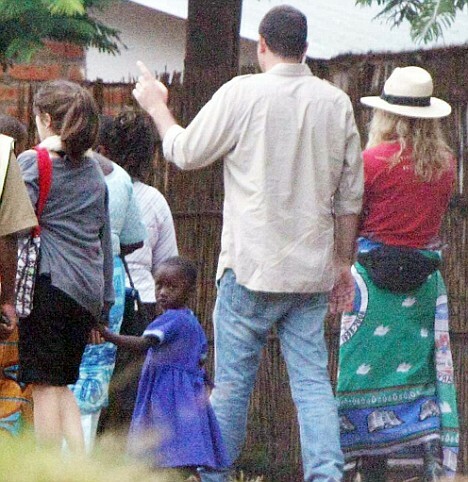 Madonna had been told the girl was an orphan and Malawian authorities said her mother and father were dead. The girl's other relatives had consented to the adoption. The row echoes that over the adoption of David Banda, when his relatives came forward to oppose plans for him to be taken out of the country. yeah,how did she get that cut? by the way, i love that shoes!! are those the same she wore on the s&s tour during the gypsy section?? i am totally in love with her re-invention boots!